Triple ‘A’ Executive Cars was formed in 1988 to provide a taxi service to local businesses and individuals. Our aim is complete client Reading taxissatisfaction by ensuring that all pre-booked journeys are met on time and all local call outs are met within 15 minutes, so that our clients arrive at their destination relaxed and on time. Our drivers are always smartly dressed, polite, courteous and at all times helpful. To assure the comfort and safety of our customers and drivers, continual investment in the regular servicing of our vehicles and upgrading of our fleet is one of our priorities. We constantly review the number and type of vehicles within our fleet to ensure that we attain the highest standards. The level of service is recognised by major companies, prestigious hotels and restaurants as one of the AAA TAXIfinest in the Thames Valley. Our policy is to ensure complete client satisfaction by providing a prompt, professional and discreet service 24 hours & 365 days a year. We believe in the highest standards, a practical approach and commercial awareness. 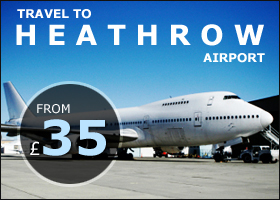 Part of the services that we provide includes the arrangement of alternative transport. This transport is currently under two categories, Minibus and Executive Cars. 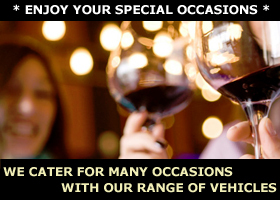 We can also have luxury vehicles for all occasions including Corporate functions and Weddings. Executive Mini buses when required.